To put in simple words, classical mechanics is the physics of the macroscopic world AND quantum mechanics is the physics of the microscopic subatomic world, otherwise called as the quantum world. So while classical mechanics describes motion of objects and various phenomena and events at a much larger scale, quantum mechanics describes motion of particles and various phenomena and events at the subatomic level. In 1901, Max Planck from his work on black body radiation first suggested the idea that energy at the most fundamental level exists in discrete lumps (or quanta) and not as a continuous variable unlike what we think of it in our everyday world. While this is without doubt one of the greatest discoveries in science, the idea of ‘quantisation’ of energy had caused so much confusion amongst the scientific crowd that it paved way to an entirely new branch of science with weird assumptions and stupid rules. But the idea that energy exists in discrete lumps and not as a continuous variable at the ultimate level is actually not so weird. As we enter the accurate world, we see a brick shop and we remember that we need some bricks to repair the damaged steps in our portico. We place an order for 10kg of bricks having ‘understood’ the ‘rules’ of the accurate world.The owner replies that each brick in his shop weighs exactly 0.3 kg, so he suggests us to select a quantity that is a multiple of 0.3kg. We think that is fair enough and ask for 9.9 kg of bricks.The shop owner happily dispenses the said quantity using his atomic weighting machine. We count the bricks to make ourselves comfortable- we have 33 bricks. Now we go to a cereals store and ask for 20kg of rice. The shop keeper feeds the said quantity i.e. 20kg into his computer, looks for a second and replies “sorry sir, you can either have 19.999995kg or 20.000018kg of rice but not 20kg”. Either figure makes no difference to us but we wonder why it is so and we remember that we have purchased 20kg rice without any problem from the groceries shop before coming to the accurate world. Looking at our puzzled faces, the shop keeper adds “each grain of rice in our shop weighs exactly 23mg, so we can only dispense rice in multiples of 23mgs and not in any other quantity”.Though he is not weird, we feel a bit shocked to hear that as we are not used to such level of accuracy while purchasing food grains. But any way we ask for 20.000018kg of rice as this figure sounds little easier than the other. Of course we do have to pay a little extra for that extra grain of rice. Lastly we go to another shop to buy some water. As we stand in the queue we hear the shop keeper saying to the customer in front of us who asked for 1kg of water “sir, we can only dispense water in multiples of 2.991507×10-26kg which is the weight one molecule of water. So either you can have 1.000000- – – – – -2576 kg or 0.999999- – – – – – -7621 kg of water but not 1kg. And of course there is a slight difference in the price too between the two quantities, roughly about 0.000000000- – – – -4376 rupees”. Terrified by the figures in the accurate world, the customer in front feels dizzy and faints. As a team of paramedics promptly come to his rescue, we immediately rush to home, not willing to risk ourselves meeting the same fate. But what is wrong with things in accurate world? Why do people feel dizzy shopping there? Unlike what we may think, things in accurate world are not actually weird. It is just that we are not used to look at things at such magnification. We imagine water as a continuous variable in our everyday life but at the most fundamental level it actually exists as discreet bits which we call as water molecules. So water is not different from bricks in that regard. We can only buy bricks in multiples of a discreet quantity and so is the case with water. This may appear weird at a superficial level but not so if we look at things deeper. Same thing is with energy. We are used to think energy as a continuous variable in our everyday life. But we don’t have to believe that our world is weird (and hence abandon our logical sense) if we find energy in discreet bits or quanta at the ultimate level. Matter is granular at the most fundamental level – scientists don’t feel this as weird because they have always imagined matter as particulate stuff. But when they realised that Energy is also granular, scientists think this is weird because they have never imagined energy existing as particles. Whenever we find something weird in Nature, the problem is not with the Nature but only with our understanding of it. So if we can correctly understand energy, energy quanta shouldn’t sound weird! Of course we may never know what exactly is energy and from where this ‘divine’ power comes. And of course our understanding of matter also may never be complete. But lack of understanding is better than misunderstanding something. When we don’t understand things, we usually are aware of that unlike the situation when we misunderstand things. Misunderstanding obviously misleads us and it may be a while before we realise that and restart our journey. That is what the weird theories of relativity and quantum physics have done to us for more than a century- they have simply mislead us and made us go in the wrong direction in our exploration of Nature. So what exactly is energy? Does it have any physical form or existence? If it has physical existence, it becomes nothing but a kind of matter again. If so, then what differentiates this energy stuff from the non-energy stuff? On the other hand, if energy has no physical existence, how does it exist? And how does it influence matter? For most of us energy is still a mysterious stuff in Nature. The one thing we are certain of energy is that it moves matter particles. Of late scientists realised that energy at the most fundamental level exists as electromagnetic radiation. They also came to know that light is a form of electromagnetic radiation. But what is electromagnetic radiation? Scientists first thought that electromagnetic radiation behaves like waves without any physical existence but later they realised that it has particle or matter properties too. Now scientists are totally confused: energy exists as both waves and particles at the same time, the result of which is quantum mechanics! That takes us to the first and the foremost difference between classical mechanics and quantum mechanics – According to classical mechanics, waves and particles are totally different things i.e. waves can’t behave like particles and particles can’t behave like waves. But quantum mechanics teaches exactly the opposite- Waves and particles are actually one and the same. Depending upon how we see, the same thing will appear as a particle at one time and a wave at other time. 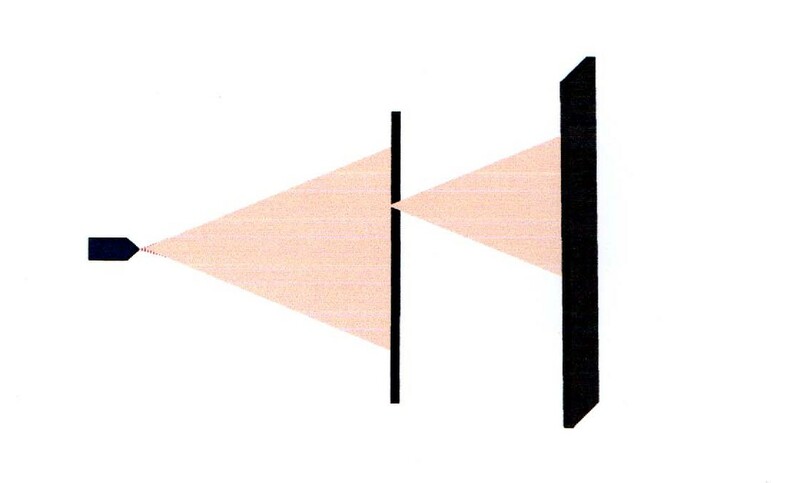 So it all depends upon how we see something. First let’s learn about particles and waves from the perspective of classical mechanics. A particle is nothing but a physical entity that has definite mass. We may call the same as a ‘body’ or an ‘object when it is big enough. Apart from mass, there are other features that we can describe for any physical body or particle. They are size, shape, density, position or location and whether it is at rest or moving with respect to us, and if it is moving its velocity, direction etc. Using the principles of classical mechanics, we can exactly predict an object’s position, velocity and its trajectory if we know the object’s mass and the various forces acting upon it. A wave is not a localised physical entity like a particle but is something like an ill-defined energy cloud, the spacial distribution of which is given by its wavelength and amplitude. And there is nothing called ‘mass’ for a wave. There are some ‘epiphenomena’ specific to waves – they are interference, diffraction, scattering etc. Of these, interference is the most important and is said to be the most fundamental of these – when waves from two different sources travelling in a medium come together, the amplitude of the resultant wave will be more at points where the peaks of both waves meet and it will be less at points where the peaks one wave meet with the troughs of the other. That is waves get cancelled at some points (destructive interference) and get amplified at some points (constructive interference) depending upon their ‘phase difference’ at the point of meeting. In contrast to what we have discussed above, quantum mechanics teaches that waves and particles are not two different entities but are just one and the same. What we imagine as a wave can behave like a particle and similarly what we imagine as a particle can behave like a wave depending upon how we observe. So what behaves like what depends entirely upon how we observe the same. But what made physicists to come this weird conclusion? Well, it was their observations on light or electromagnetic radiation. Let’s learn about those observations which twisted the scientific minds and squeezed the logical sense out of them. 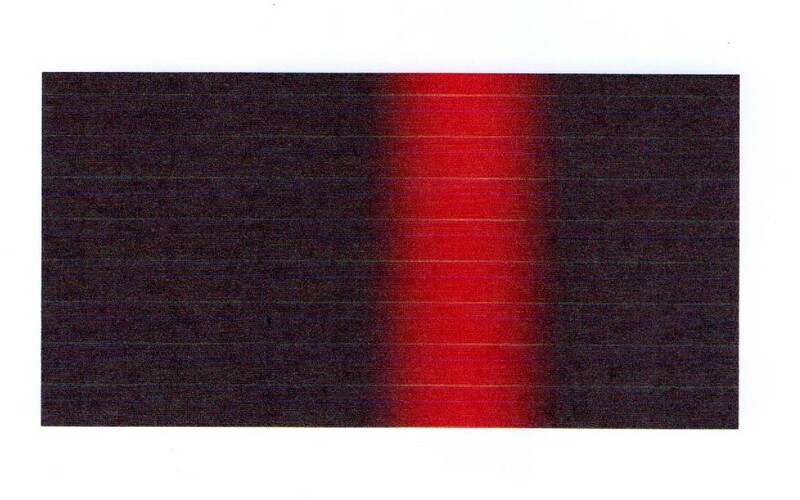 The first one is Young’s double slit experiment which proved the wave like nature of light by demonstrating interference between two light rays as they meet. It is very important that we learn about this experiment a bit more in detail because it is this experiment that every quantum physicist swears upon to support the weird notion of wave particle duality. Let’s first see how bullets (particles) and waves (water waves) would behave in double slit experiment before we learn about how photons have behaved in a similar setting. 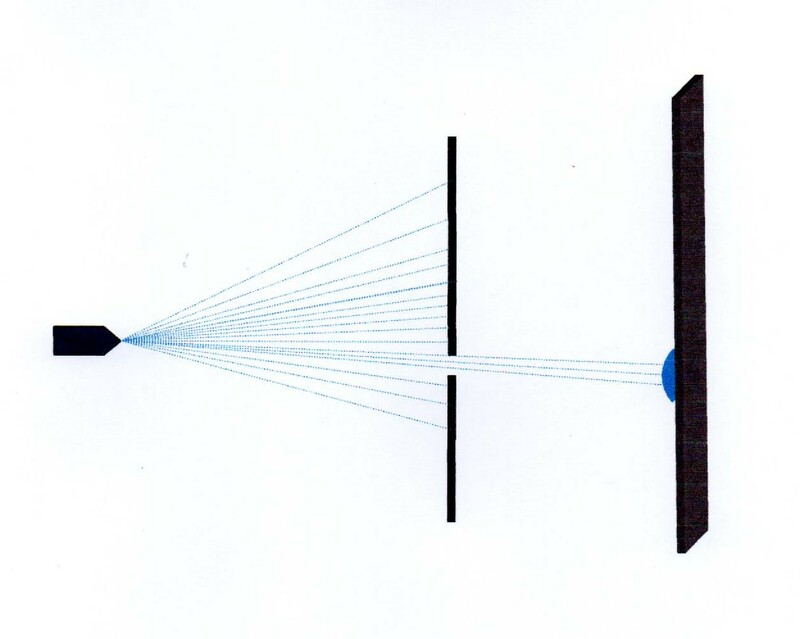 Particles in double slit experiment: Imagine that we fire a stream of bullets towards a wall with two slit like openings in it. Some of them will get stopped by the wall but few of them pass to the other side of the wall through the slits to hit the second wall. If the second wall senses and registers every bullet impact that it receives, we would obviously note the following patterns of impacts on the second wall. 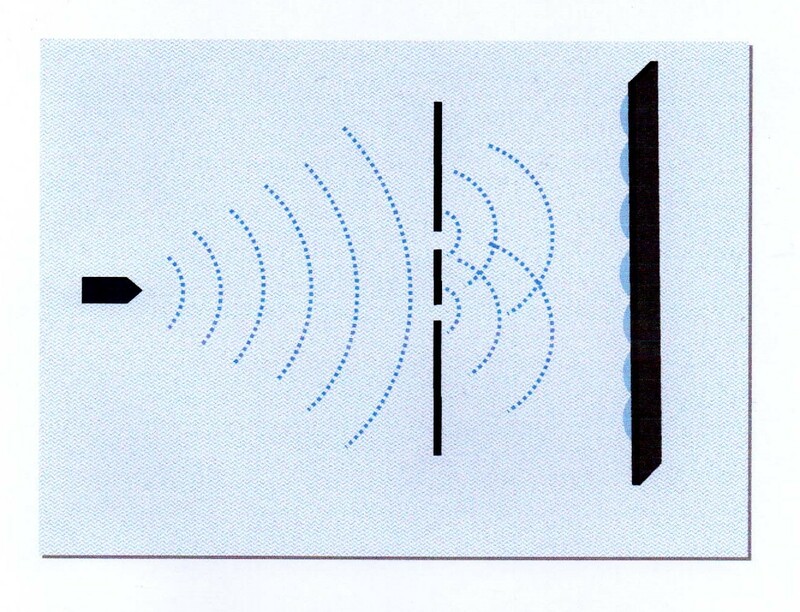 Waves in double slit experiment: Now imagine a series of water waves instead of bullets in the same scenario. As each water wave hits the first wall, part of the wave passes to the other side via each slit. So for each wave that strikes the first wall, two wave fronts emerge on the other side. 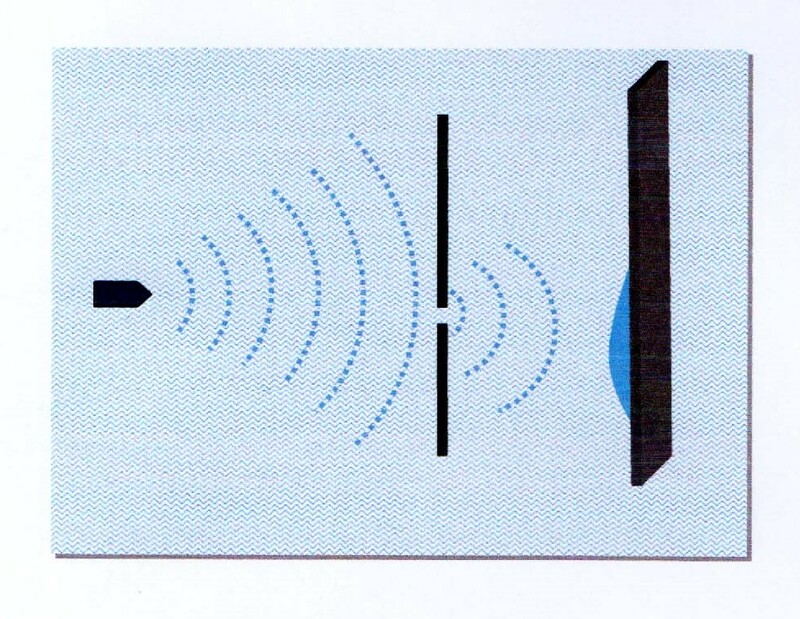 These wave fronts get scattered and interfere with each other and result in a specific interference pattern on the second wall. At points where the peaks of the two waves come together, the amplitude of the resulting wave gets doubled and at points where the peaks and troughs come together, the amplitude gets nullified and elsewhere it is in between. Let’s look at the patterns of impacts that would be produced by waves in different scenarios of the double slit experiment. So obviously waves and particles produce different patterns of impacts on the on the second wall. But how do light rays behave in the same scenario? 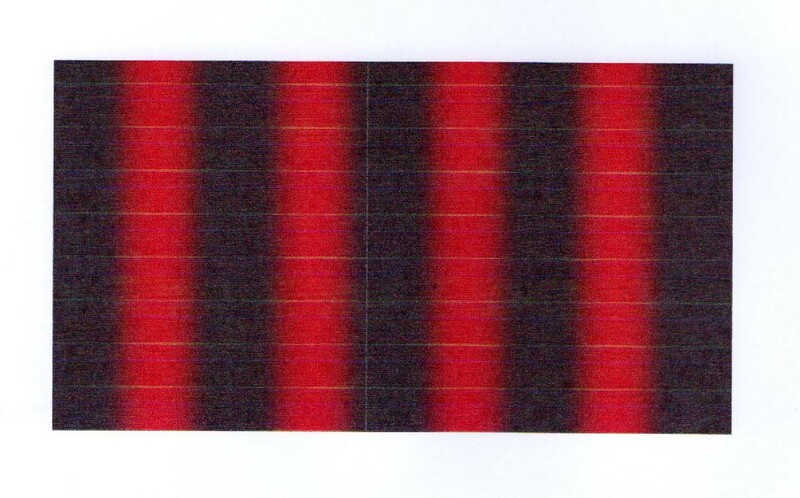 In 1803, Thomas Young had shown that light behaved exactly like water waves and produced wave like interference patterns on the second wall as shown below. This observation had actually overthrown the corpuscular or particle theory of light that was put forward by Newton and dominated the scientific society for more than two centuries. 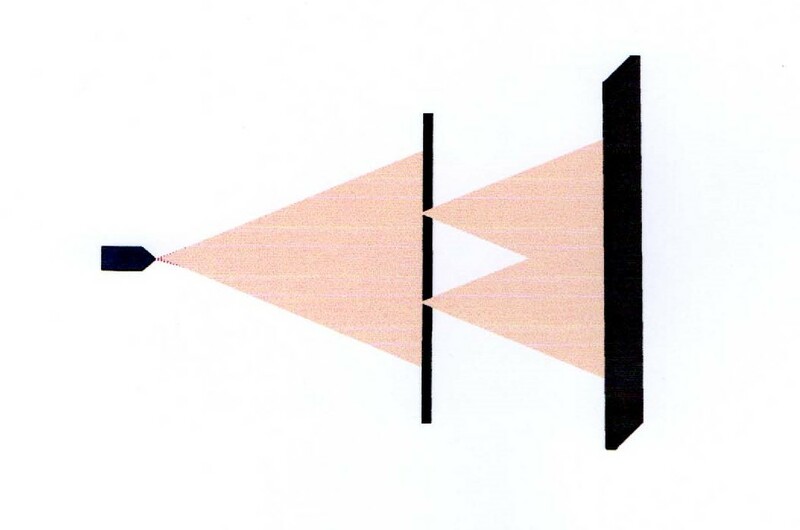 But then in 1901, Max Planck, from his observations on black body radiation, suggested that electromagnetic radiation comes in discreet bits or quanta just like how matter particles would exist. And later Einstein in 1905 confirmed the particle like behaviour of light from his work on photoelectric effect. As a matter of interest, Einstein had actually received Noble prize not for his theory of relativity which made him so popular but for his work on photoelectric effect which demonstrated the particle like behaviour of light rays. Photoelectric effect: When light rays were made to fall upon a metal plate, scientists found that they ejected electrons from the metal plate and produced electric current. When scientists analysed the velocity and the number of electrons ejected from the metal plate, it became clear that light rays actually behaved like showers of particles while knocking down the electrons from the atoms of the metal plate. And scientists couldn’t explain the observed patterns of photoelectric current if they imagined light rays as waves. That is to say, wave model of light failed to explain the photoelectric effect. 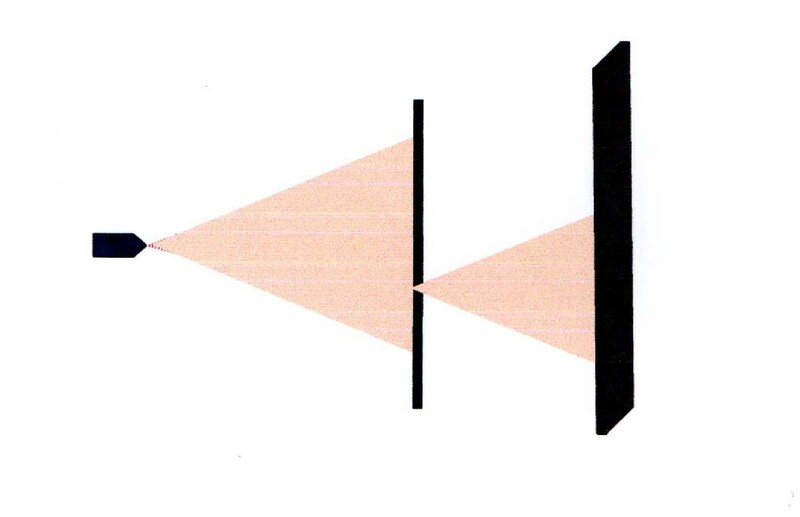 So while double slit experiment demonstrated the wave like behaviour of light, photoelectric effect suggested that light behaved like particles. 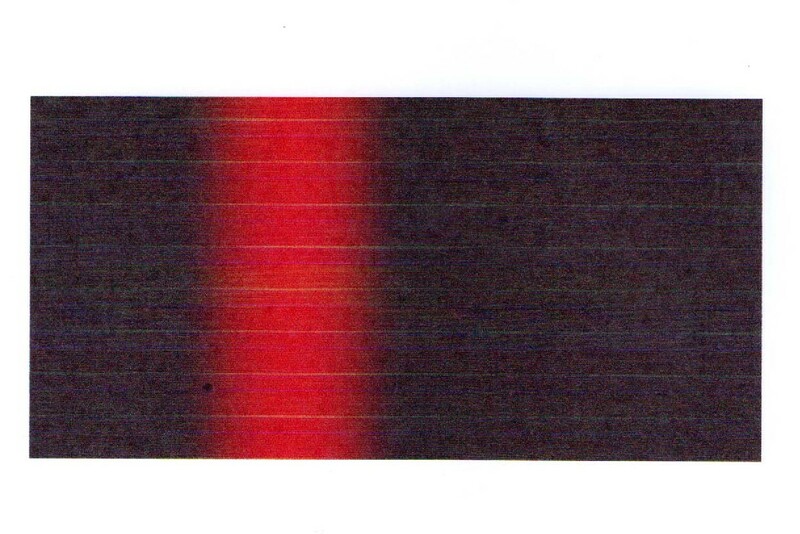 Astonished by this ‘bizarre’ behaviour of light, de Broglie put forward a highly logical argument i.e. if electromagnetic waves can behave like particles, then why not matter particles behave like waves? In the years to come, electrons were shown to behave like waves by various experiments as predicted by de Broglie and and wave particle duality of matter became an accepted ‘reality’. Then came the main problem for the physicists to solve. 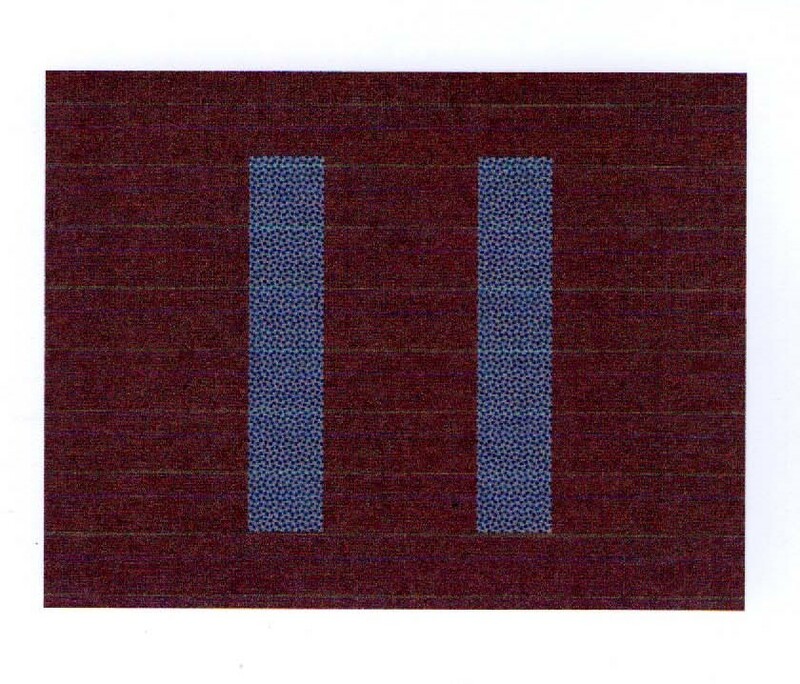 If light is composed of particles, how could one explain the interference patterns produced by the same in the double slit experiment? 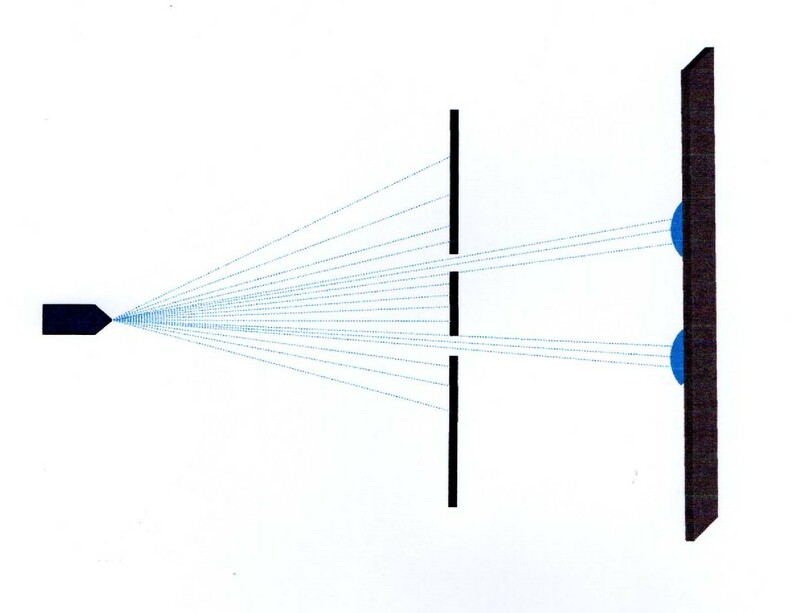 Even when light photons were emitted one at a time rather than in streams or showers, the same interference pattern was observed on the photosensitive screen after sufficient of number of photons got fired. This implied that each particle went through both the slits simultaneously, emerged on the other side and interfered with itself. How could any particle go through two paths at the same time? How could a particle interfere with itself? This happened not only with photons, but scientists observed the same phenomenon with electrons and other particles. 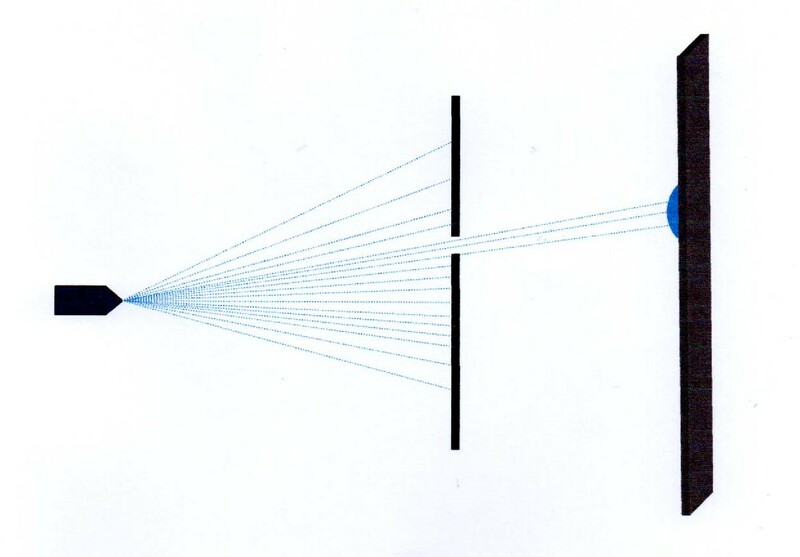 1) Feynman’s multiple histories: An electron or a photon during its flight from point A to point B travels simultaneously in infinite number of paths and apparently what we see or observe is the average of all these paths. Amongst the infinite number of paths that a particle takes simultaneously as it travels from point A to point B, could include a trip to the moon or even to the other side of the universe before the particle reaches point B. Even weird is that, the particle can apparently be observed at any of the x, y, z points between A to B if we decide to observe it, but if we don’t ‘look’ at it, it can be wandering anywhere in the universe. It is as if the particle knows where and when someone is going to watch its behaviour. 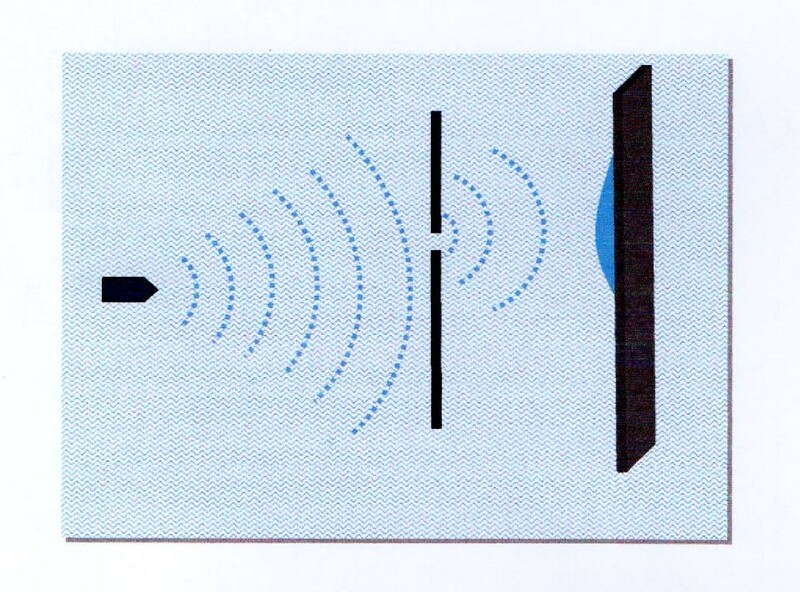 We have to believe in this odd behaviour of tiny particles because they appear to pass through both the slits simultaneously in the ‘double slit experiment’. So the reality we perceive (i.e. the observed path from A to B) is apparently just one of the several probabilities/ histories/ realities. 2) Quantum uncertainty- The position and the velocity of a particle can’t be accurately known simultaneously. Moreover, a particle doesn’t exist at just one position but exists simultaneously in a number of positions. 3) A particle or body can be in multiple states simultaneously as long as we don’t ‘look’ at them. For example a radioactive atom can be in both decayed and not yet decayed state, a cat can be both dead and alive, a door can be in both closed and not closed (and partially closed) positions at the same time, a table can be both present and yet not present in our room and so on. But why we don’t experience such funny things in our daily life? The reason is that things exist in multiple states only when we don’t observe them. The moment we observe them, they quickly ‘settle’ to one state. Imagine that we have just seen a cat inside a wooden cage in the centre of a room. We may think that they continue to remain so even when we turn our eyes away or walk out of the room. But apparently we can’t be certain of their state when we don’t look at them- It may be that the cat lies outside the cage, it may be that the cat is dead and the cage doesn’t exist in the room but is in the forest being made. Or the cage may be sitting on the head of the cat or it may be that while the cage goes to a trip to the moon, the cat is dancing behind you. That is, they could be in any of the infinite number of possible states. But the moment we look back, the cat and the cage may be seen just as before as if nothing had happened. 4) In our classical world we can predict the ‘fate’ of any individual object if we know all the forces acting upon it, but apparently the same is not possible in the quantum world. For example despite knowing everything about a radioactive atom, we cannot exactly predict what will happen to it after some time, whether it decays or not and if it decays when it is going to decay. Apparently we can only know the probability of an event happening in a given time. For example we may be able say ‘there is 50% chance of a particular atom getting decayed in 24hrs’. Or we may be able say ‘50% of the atoms of a given radioactive substance get decayed in 20years’. But we can’t say exactly which atoms decay and at what point of time they decay. Of course, even in our everyday world we cannot accurately predict the outcomes of individual events in many scenarios and we may only be able to ‘guess’ the probabilities of a particular outcome. For example, when we toss a coin, we can’t exactly say which way it will land. We can only say that there is 50% chance for landing head on and 50% for tail on. But why we are unable to exactly predict the outcome of every coin tossing? The reason is that we can’t / don’t have all the information about all the forces acting upon the coin. In other words, the uncertainty of our macroscopic world is to do with our inability and ignorance. But apparently this is not the case with the uncertainty of the quantum world. The reason why our physicists are unable to predict individual events of quantum world is apparently because the Nature itself doesn’t know for sure. So physicists know as much as the Nature knows about things in the quantum world despite their vast ignorance in the easily accessible macroscopic world! Luckily for the scientists, despite all its weird rules, quantum mechanics has been highly successful in explaining various phenomena in Nature both at microscopic and macroscopic levels. And it has helped scientists invent many gadgets of the modern society. Does it mean that quantum physics is correct? While most scientists believe that our world is really weird and swear by what the quantum mechanics preaches, there are some who remain sceptical. Apparently the mathematics of quantum mechanics and that of general relativity are not compatible with one another. It implies that the mere success of a mathematical model in explaining certain things in Nature doesn’t automatically mean that the model is correct. And why should the basic physical principles or the laws of Nature be different in the microscopic and macroscopic worlds? We will explore the truth in the next chapter.